From American artist and toy designer Joe Ledbetter. Someone has a case of the Mondays! Kidrobot is happy to present an original collection with American artist and toy designer Joe Ledbetter, starting with this surprising Kidrobot Pelican't by Joe Ledbetter Vinyl Figure. Created in true Ledbetter style, the down-on-his-luck bird features a bill not exactly suitable for fishing. 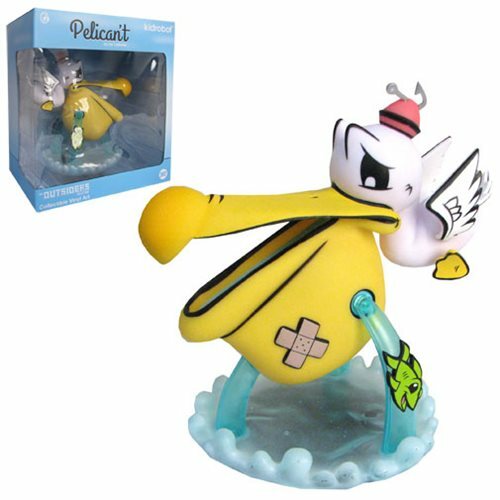 Grab this collectible vinyl art today and prove you're a pelican! Ages 15 and up.